This first week back home from vacation has not been the greatest, but that’s to be expected after spending a week in the most amazing country on Earth. Tuesday was my best friend Janee’s birthday. We had dinner at Cheesecake Factory because she was craving cheesecake… and then she didn’t even end up ordering any! Afterwards, we went to a tiny dive bar down the street from my house, played some darts and shuffleboard, and generally had a chill night. I was feeling a little tired, so I headed home after just a couple of beers. I can’t believe this girl and I have been friends for 5 years already… it feels like a lifetime! Also on Tuesday, I had an appointment with my magician of a hair colorist, Michael at Medusa Salon. I had been a dark/wine red for about two years, but started lightening my hair back in August. This trip to the salon, we FINALLY were able to achieve what I had been wanting since we started the lightening process — a rose gold with vibrant pink streaks throughout. Both of us were SO excited with this color. As Michael said, ACHIEVEMENT UNLOCKED. He also coined this, “unicorn snot”. I had nothing eventful to post because of work, so I resorted to sharing more Iceland photos, which is probably what I’ll be doing on other days when I don’t have a photo from that exact day to share. I try to make the captions relevant to my current state of mind, though! 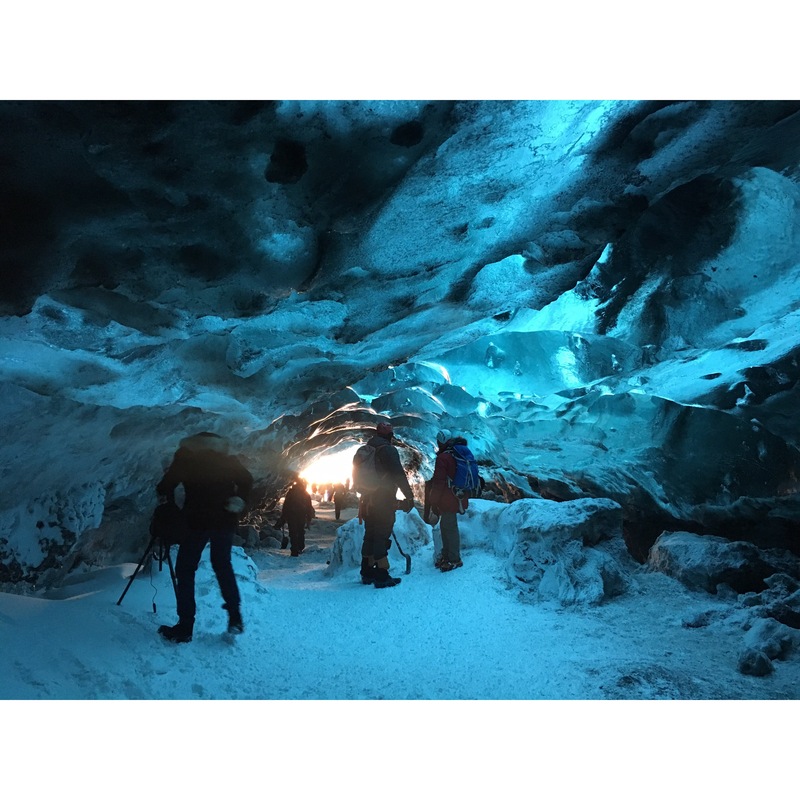 This one was from an ice cave, one of the highlights of the entire trip. Friday was another exhausting day. I had trouble sleeping between my shifts. I didn’t go to bed until after 10am, because I had to stay awake to discuss some things with my recruiter. For some reason, I woke up just before 2pm and couldn’t get back to sleep. I tried and tried, tossed and turned, and eventually it was time to leave for work. I was on the phone with Aaron on my way in, when it all hit me — I had slept about 6 hours in the past 48 hours, I was awake all day, if I was awake all day I should have been productive and done schoolwork at least, I was super behind because I neglected school the first part of the week (pro tip: don’t do this), I had to go into work tonight and I had no idea how to function, etc etc. Long story short, I ended up calling in for mental health reasons and drove to San Antonio for the night. I don’t know why nurses seem to have such a martyr complex sometimes. It’s common for nurses to brag about how much sleep they DIDN’T get, how sick they are and they’re still at work, the max number of shifts in a row they worked, etc. We are humans too. We take care of other human beings. I’m not ashamed of calling in for a mental health day. If I’m running on fumes (6 hours! in the past 48 hours! ), someone could literally die. No, not just, “oh man, I’m so tired I could kill someone”. I work in the ICU, I literally have people’s lives in my hands, and I’d rather be sorry for calling out than in a court, losing my license, because a patient died on my sleep-deprived watch. 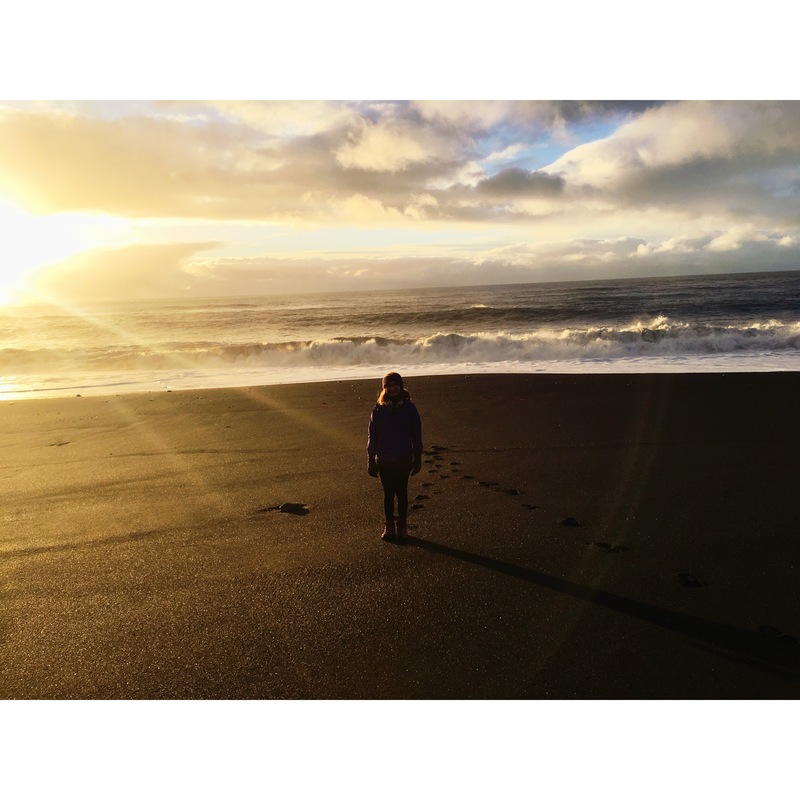 So the picture I posted for this day, was a reminder of the last time I cried happy tears — on the shore of a beautiful black sand beach… in Iceland, of course, because, duh. Saturday, I was still feeling the effects of my Friday night breakdown. I had driven down to San Antonio spontaneously, and didn’t even bring my laptop which I needed to get my schoolwork done. I tried to login to Aaron’s but was coming up unsuccessful… so I worked on settling my housing for the remainder of my time in Austin. I was able to complete about half of my schoolwork before it was time for me to head back up to Austin for work. I managed to finish it all up before the due date of midnight! IWHS taught me how to maximize my procrastination so well, I’m still using those skills almost 10 years later. I also secured my next travel nurse contract — more on that later! — so the last half of the week was quite the whirlwind. 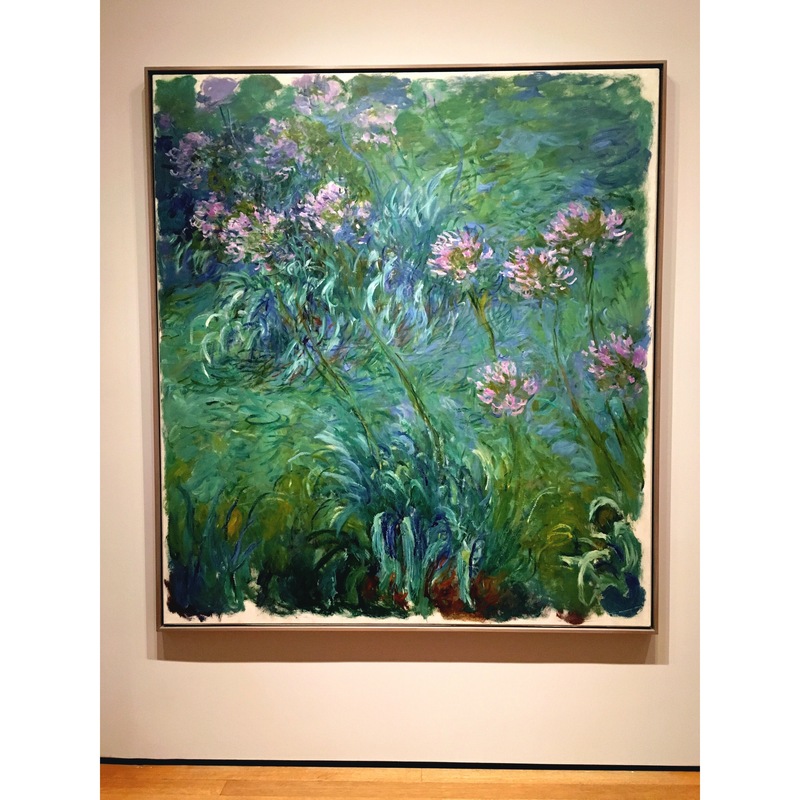 Thus, I posted this photo of Monet’s Agapanthus. There was an entire room in the Museum of Modern Art (in New York City) full of Monet’s lilies, and we took time to sit and soak it all in. It truly felt like I was sitting on a bridge over the pond filled with all these lilies, and was incredibly relaxing… which was the happy place I kept bringing myself back to this week! As most night shifters know, the “day” after a night shift is essentially lost. Sunday may technically have been a “day off” for me, but I actually got off work Sunday morning anyway. I slept all day, woke up for a few hours and continued to try and find housing for my next contract, and then fell back asleep around midnight. Day wasted. So I posted a photo from our first night in Iceland! I originally was going to come back to San Antonio Sunday, but sleep > everything. So Monday (which is today still! ), I woke up, packed everything up, and drove back down. Travel nursing can get exhausting, moving every 13 weeks, but the nice part is I don’t have to worry about moving any furniture. Everything I brought with me, I can stuff into my car. Mainly what I bring are clothes, some photos of friends and family, and school supplies… which is all easily packed up and stuffed in a trunk. There is truly nothing like being home, in my own bed, with Aaron and Sunny by my side. It doesn’t hurt our bed is basically like laying on a cloud. Now that I’m on contract in Austin and able to come home frequently, I don’t know how I managed to be away while in Albuquerque for such long periods at a time. My next contract is a “far” contract, so it’ll definitely take some adjusting again. But I’m excited to explore yet another new city. I haven’t explored Austin too much because — one, I spent so much time here in my early 20s already, and two, I keep coming back to San Antonio almost every week. At first I felt guilty about coming back to SA — I felt like I should stay in Austin and truly try to “live” there as an Austinite — but then eventually I realized… who cares? If I want to come back to SA to see my boyfriend instead of staying in a city I’m already familiar with, well, I should be able to do it! I have one more day here in San Antonio, then will be heading back up to Austin on Wednesday for work again. It’s crazy that I only have 3 weeks left on this contract!! They seriously go by so quickly. Next Next post: Contract #3: Signed, Sealed, and Delivered!